Grant Macdonald was born in London and studied at the Central School of Arts and Crafts and the Sir John Cass School of Art. His team blends traditional and the latest industrial skills. Much of Grant Macdonald’s work is for overseas patrons particularly the Middle East with many commissions in 18ct gold, precious and semi-precious stones. 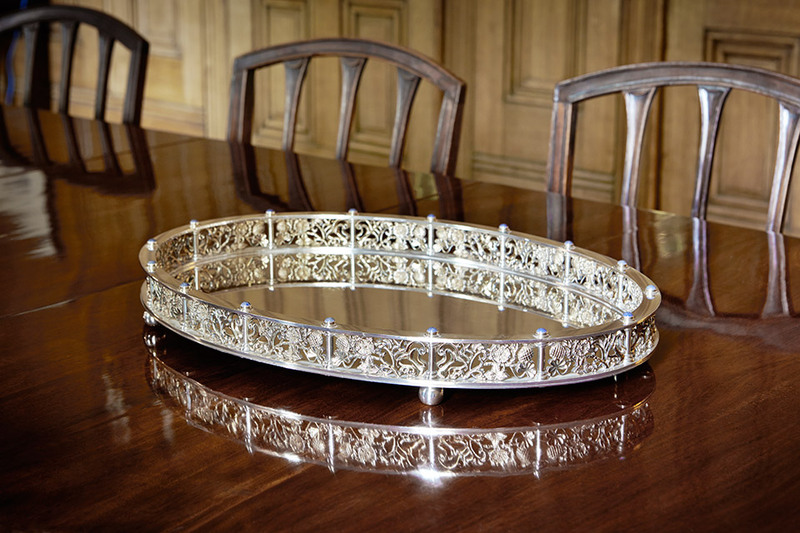 He has also been commissioned by several City Livery Companies including the Goldsmiths’ Company as well as churches including Lichfield Cathedral. In 1996 he was commissioned by the City of London to design the presentation casket for the Honorary Freedom of the City conferred on President Mandela of the Republic of South Africa.